In 1986 a group of teens decides to have one hell of an after hours party at the local skating rink. Little do they know their party is going to be crashed by hellish creatures; released from a necklace possessed by an ancient evil. Now the kids must choose between saving themselves and risking certain death in a human versus demon roller derby battle royale to save the world. 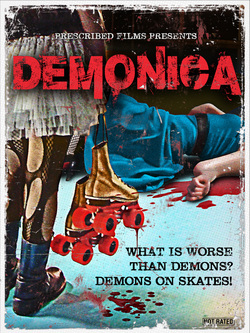 They're about to find out that the only thing worse than demons is demons...on skates!